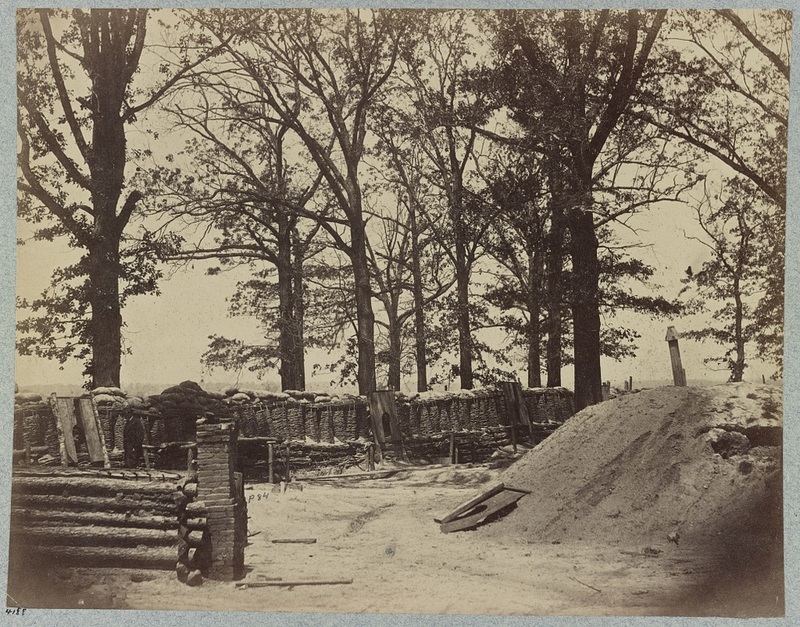 "Works in front of Petersburg, Va. Fort Stedman," National Archives (NWDNS-111-B-335). Battery 10 (on left), Fort Stedman (center-right) viewed from no-man's land. This grove of hardwoods on Hare House hill was an important landmark on the battlefield. Residue of Battle. Detail of Fort Stedman from the above photograph, showing a gap cut in the fraise during the Confederate assault March 25, 1865. Attackers swarmed into the fort through these two embrasures at the southwestern angle. LC 00540. "Petersburg, Virginia. 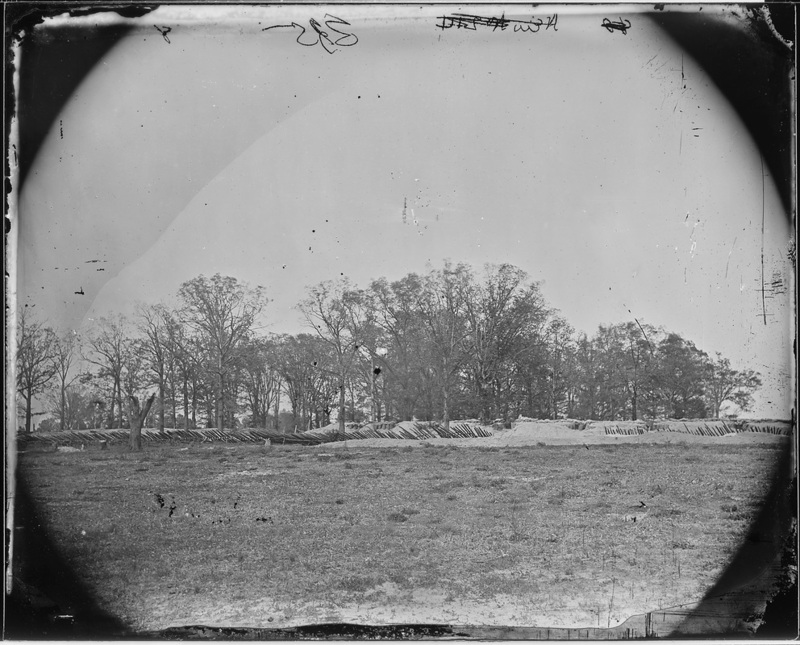 Fort Stedman in front of Petersburg," photograph by Timothy O'Sullivan. View looks south into Fort Haskell. LC 00540 detail. View of Fort Haskell in the distance. LC 32450. "Interior of Fort Steadman in front of Petersburg, Va." photograph by Timothy O'Sullivan.